Greet Life With Your Non-Dominant Hand! This is really how my slight ambidexterity plays out. I have the handwriting of a 9 year old with my right hand, for whatever reason. Throughout our lives, we develop patterns of dominance, strength, weakness, tightness, etc. We always eat with our right hands, or write, or cut, or whatever daily activities we engage in. The result of this is one side that is not only more skilled and the other side is lacking those skills and messages from the brain. In addition, most musicians' instruments put more strain on one side rather than the other, depending on the instrument and the setup, and constant use of the same side in dominance, music, writing, typing, texting, and mouse-use can be taxing on your soft tissues. I have the good fortune of being left hand dominant and slightly ambidextrous-I don't always notice what side I'm doing something on until someone points it out to me ("You eat with your right?" "You kick with your right?" "You put mascara on with both hands depending on the eye?"). In addition, most of the world caters to the right-handed folks, so I've learned to do everything with my right side, except write quickly and neatly. -There has been some research that musicians who use both hands for their instrument have more connection between the right and left hemispheres of the brain than "normal" people (whoever those folks are). -Neuroplasticity refers to the idea that the brain changes itself, whether from trauma or training, and creates new neural pathways throughout life, but also loses certain pathways. "Neurons which are not stimulated in these pathways tend to wither away and become unusable. These neuron cells either die or change in ways which render them ineffective. If pathways are never developed, they never become usable in the sense that they can handle significant traffic in terms of electrochemical communication within the brain. If neuron cells are not used, they can be lost. " I am by no means a brain whisperer, but I do love a good movement challenge, especially if it challenges the fine motor skills. So here's your activity challenge: Use your non-dominant side for daily activities! I've been trying the left handed mouse for my writing lately, and it's fun and slightly discomfiting. 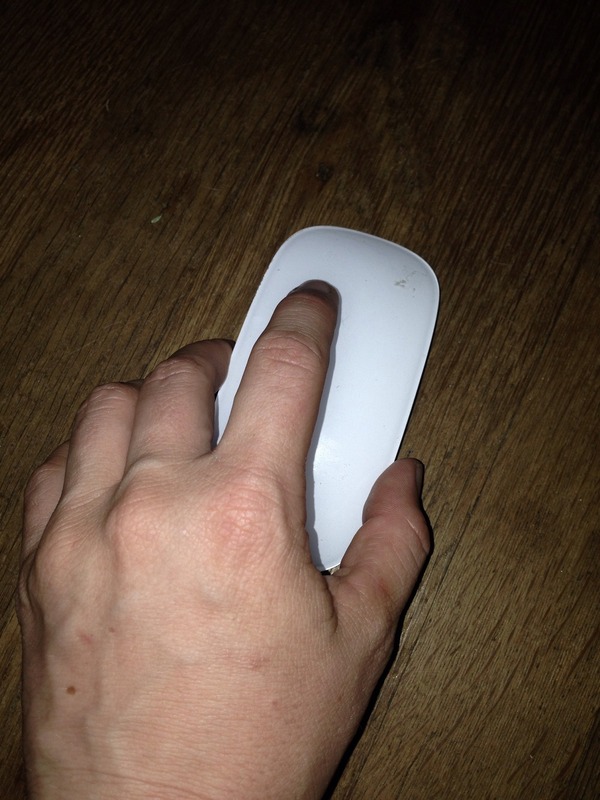 Put your mouse on the other side of your computer and use your left hand (tough but worth it!) Or use your left hand for track pad usage on a laptop. If you play a string instrument, try playing your instrument on the opposite side. Yes, this is crazy and will sound dubious, but try it and see! The same could be true for many other instruments as well (sorry piano and voice). If you're a wearer of makeup (male or female, no questions asked), try applying makeup with the opposite hand, provided you have time to remove it. This is often very curious. Gaining a new awareness of your habits and proclivities will not only give you the opportunity to strengthen new parts of the body, but also to change your motor skills and brain, which is always a good thing, and is something often needed when injury strikes. In addition, challenging your fine motor skills in such a detailed way can expand your proprioception and awareness of your body, which is always helpful. Try these things for fun and notice your experience!